24 hour time clock fitted on heater to control element, with external vacuum operated pinch valve to eliminate cold water entry when drawing off hot water. Order with any water heater as an extra. 24 hour time clock fitted on heater to control element. Fitted with manual override button, with 15 minute increments. Order with any water heater as an extra. 2 x 24 hour time clocks fitted to the heater to allow separate control of the element and cold water fill via a solenoid valve. Features a combistat for combined temperature control and display. Order with any water heater as an extra. 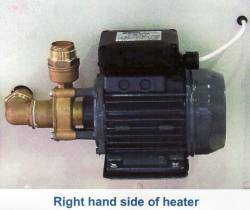 Convert a standard water heater to a water heater for washing your dx tank. A 0.5hp hot water pump is fitted, which delivers 20 litres / minute @ 20 psi. 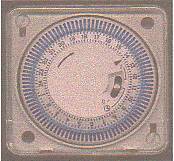 Heating cycle is controlled by either a 24 or 48 hour time clock. A rod thermostat controls the temperature, and an analogue thermometer reads it. Order with any water heater as an extra. 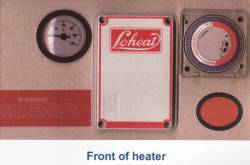 Click here to be taken to our secure site to purchase your Loheat DX Water Heater online. You can also phone, fax or skype your order through to us. For standard Water Heaters, we can usually supply within seven working days from receipt of order. 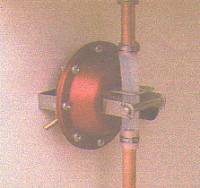 For non standard and stainless steel heaters please allow up to fourteen working days.